The sayings that go thus: “You can force a horse to the river but cannot force it to drink” and “The dog that will go missing will not listen to the hunter’s whistle”, are somewhat true. You know, there are some people that God has been warning about certain things. He’s been telling you to stop certain things/habits but you have refused. You are bent on going down that road that leads you nowhere but destruction. You have ignored the whistle of your Lord. You ignore His whistle blowers. 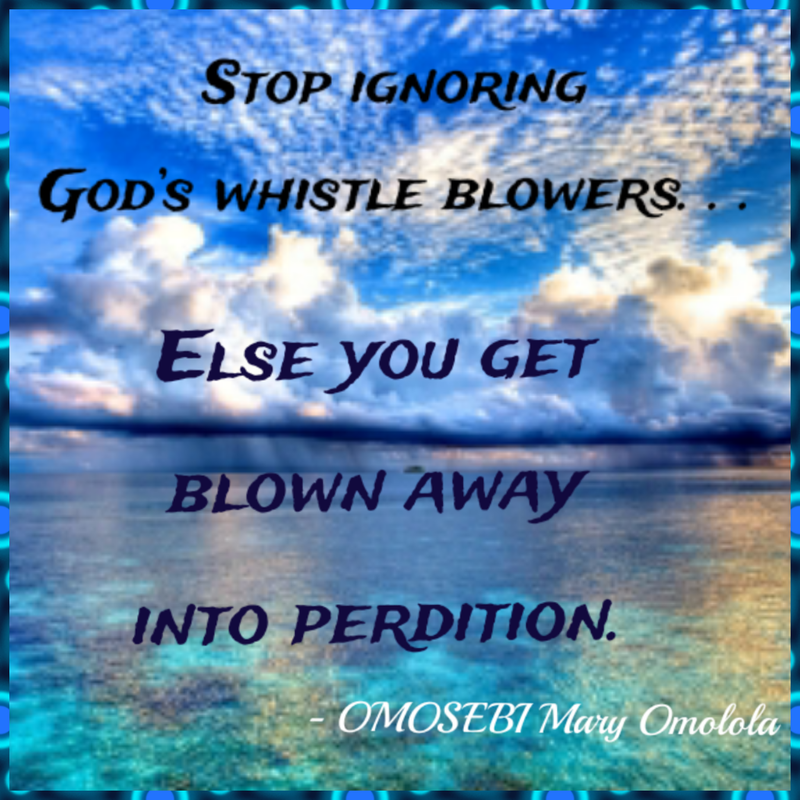 They constantly blow the whistles in church, on the television, on social media, etc, but you turn deaf ears. You discard every warning. He/she who has an ear, let him/her listen to what the Spirit is saying. I tell you today, Beware! Repent! God has spoken once, twice you should hear Him. Take a redress. Hearken to the voice of the Lord. For the day of reckoning is at hand. Learn from Pharaoh. . .
May the mercy of God speak on your behalf. I pray for you, may you not be marked for destruction in Jesus’ name.